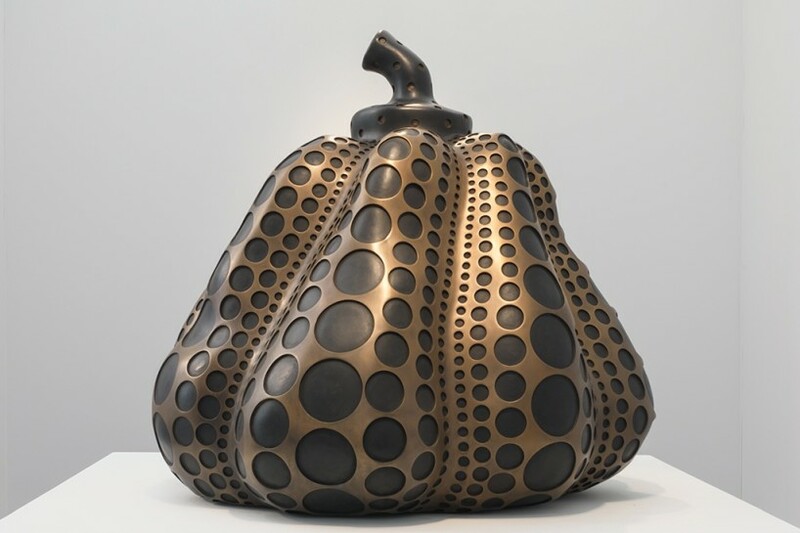 Yayoi Kusama’s (b. 1929) remarkable artistic practice has fascinated the public for over six decades. Like few other artists she moves resolutely between painting and sculpture, between art and design, and between East and West. Moderna Museet and ArkDes are now featuring Kusama in a retrospective exhibition covering her oeuvre from early nature studies to installations that suspend time and space. In 1957, Yayoi Kusama left Japan for New York. Here, at the heart of the vibrant 1960s art scene, she created many of her most important works. She later staged anti-Vietnam war protests, marches surrounded by hippie followers, political performances and orgies where she painted the naked bodies of the participants with dots. As a non-Western woman in the excluding, male-dominated art world of the time, Kusama was a rare bird, but she soon gained fame and recognition. Kusama’s unique imagery spring from the recurring hallucinations that have haunted her since childhood. In her hallucinations the world appeared as covered by dots and repetitive shapes, like an infinite starry sky. Art, for Kusama became a method of giving form to these inner landscapes. In an effort to put words to her experiences, Kusama talks about the concept of self-obliteration – the idea of becoming one with the surroundings, dissolving the boundaries of the Self, and disappearing into an all-embracing emptiness. To share her experiences, Kusama creates works of art that invite visitors to lose themselves in the infinite nets, mirror rooms and thousands of polka dots with which she covers the world. In the late 1970s, Kusama left New York. Some years later she resumed her artistic practice in Tokyo, making monumental paintings and sculptures. Yayoi Kusama still works in her studio every day and now, she is one of the world’s most beloved artists. Yayoi Kusama – In Infinity is the first major retrospective presentation of Kusama’s oeuvre in Scandinavia, spanning her entire artistic career from the early 1950s until today. The exhibition features a rich selection of paintings, drawings and sculptures, including spatial installations and performance-related material, paying particular attention to works from the late 1980s, after Kusama’s return to Japan. It is also the first comprehensive exhibition featuring Kusama’s interest in fashion and design. On view are works never shown previously, as well as a series of paintings made especially for Yayoi Kusama – In Infinity. Yayoi Kusama – In Infinity was organised by the Louisiana Museum of Modern Art, Denmark, in association with Heine-Onstad Center, Norway, the Helsinki Art Museum, Finland, and Moderna Museet/ArkDes, Sweden. Curator: Marie Laurberg, Louisiana Museum of Modern Art.